I have been working on Afro Archives for nearly three years. However, it has been really hard to keep the confidence and motivation. It has only been possible thanks to God, small steps, and the positive support of others. Needless to say, my first time on air, there were some issues! Being my own Radio Board Operator, preparing my script, research, planning, choosing fitting songs: it was a challenge. Fortunately for me, before I took to the air, there was a show called “Mind Your Business” by Master Coach Nicolette Wilson-Clarke. This is a new show with a new topic each month. I am now a number one fan because I found the show essential for my mental-state of mind. This month’s topic of Mind Your Business was procrastination. Ms Wilson-Clarke spoke about fear, and what holds us back from taking action. She used a great phrase: “weeding our mental garden”. Ms Wilson-Clarke also took a moment to congratulate Women Entrepreneurs, and to big us up. She called us action heroes. Listening to her words reminded me that I am taking leaps into the unknown. That this was going to provoke a reaction that some of us label fear. The boost and encouragement rooted in reminding myself of what it means to take action and not sit THINKING about that action, or all the reasons not to do it, was exactly what I needed pre-show. I was having so many wondering thoughts about the possibility of it not being what I wanted it to be, or how I had imagined. But because of the release provided by recognising the immenseness of the task, I was able to congratulate myself fully for simply taking the first step. To stand tall regardless of what was going to happen once I was live on air. I had in fact not procrastinated. I had prepared and planned. So all I had to do was accept that the rest was inevitably unknown. I had to just DO. No negative emotion attached. Furthermore, because of all this change in mindset inspired by Ms Wilson-Clarke, it was enough to help me do the show and then afterwards, when it was not “perfect” still feel GREAT. I have brought three years worth of effort to the air waves. I have further opened up the afro hair debate and experiences of women with afro-textured hair, a topic I am passionate about it. From here, it is only a matter of learning and growing. And the continued mindfulness is essential. I began Afro Archives in 2015 and the first series was about hair and acting. 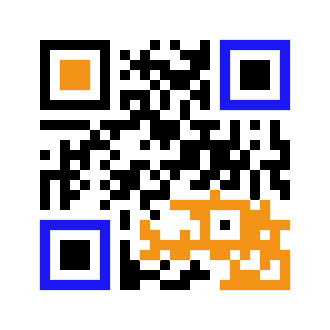 It has been evolving and developing over the years. Essentially, it asks the question: how much choice do we really have over our hair? 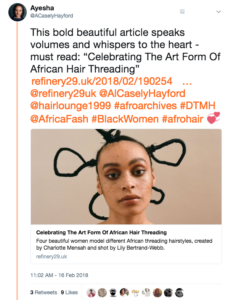 Afro Archives is about heritage and identity within UK society, it is about defining image through promotion of self-expression and confidence to be who we naturally are. This programme promotes and celebrates afro hair by having inclusive discussions about hair with people of all ages, backgrounds, cultures and creeds. 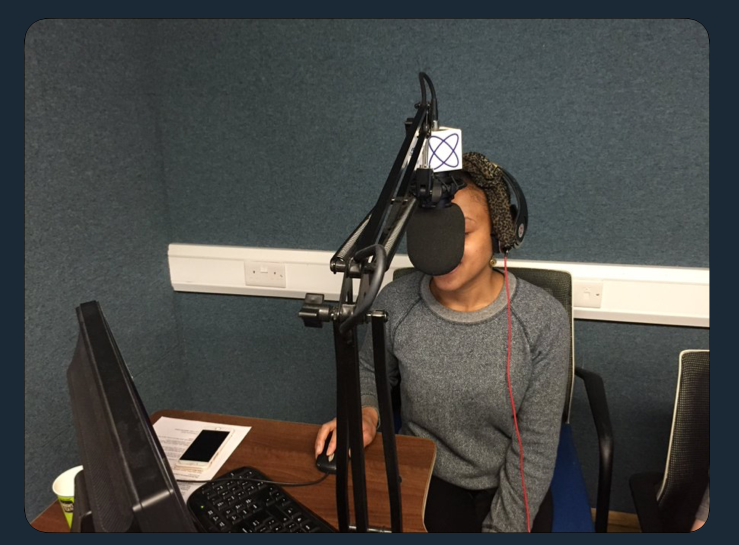 Wandsworth Radio is a local Community Radio Station. It covers Battersea, Putney, Balham, Southfields, Earlsfield, Wandsworth Town, Roehampton and Tooting. The Station exists to celebrate the borough’s greatness. 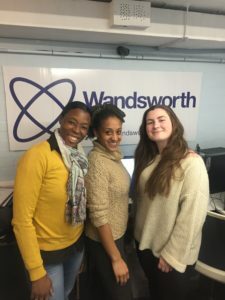 “Over 300,000 people call Wandsworth home and they deserve a community radio service providing local news and other content showcasing the people who live here”. As a Battersea born girl, it feels like destiny. I am a part of a team of volunteers who simply love working in voice and on air. The work they do is phenomenal, reaching professional standards. 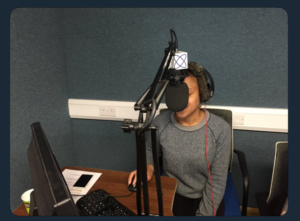 I am beyond thankful for the doors being open at Wandsworth Radio and an opportunity to learn a new skill, really enjoy myself, and excitingly have a platform to welcome all those interested in what Afro Archives is about. As a kid I spent hours making mixed-tapes, recording tracks with my brother on our parents’ double tape player, and delivering chat on essential life happenings through our eyes. Good to know all those hours of dedication have not gone to waste! 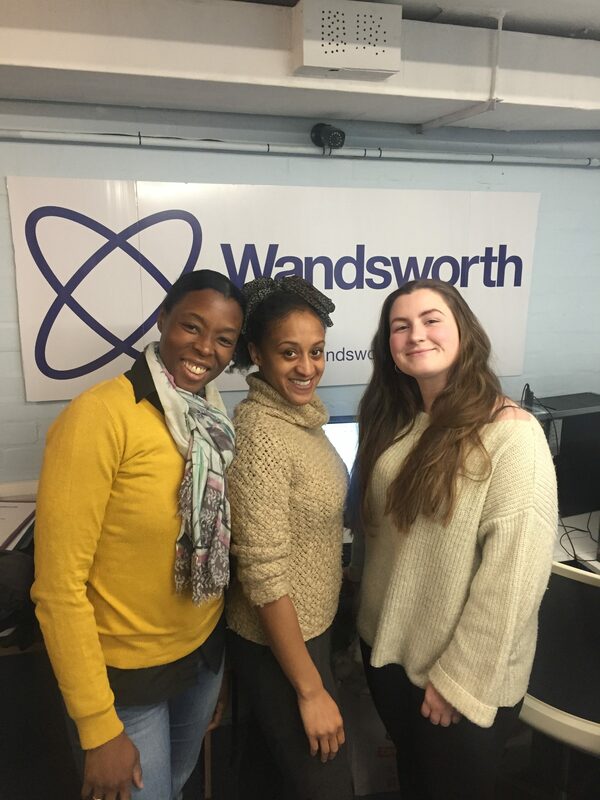 I know that without the openness and enthusiasm of the team at Wandsworth Radio I could not have taken new and interesting steps with Afro Archives. 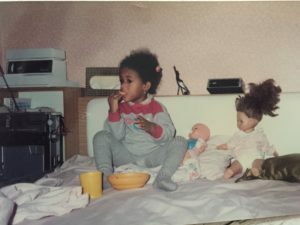 Similarly, Afro Archives began because of togetherness I found with others, namely actors Verona Rose and Ketorah Williams. Afro Archives continues because of union and partnerships I have made with Africa Fashion, Imogen Dall, The Black Cultural Archives and all the other creatives and collaborators who feel excited about the project. Being open to inspiration of others, and help from them too is a crucial part of manifesting goals and fulfilling potential. “Afro-futurism…is steeped in ancient African traditions and black identity. A narrative that simply features a black character in a futuristic world is not enough. To be AFRO-futurism, it must be rooted in AND unapologetically celebrate the uniqueness and innovation of black culture.” (emphasis added). In an afro hair context, it makes me think of the power of wearing our hair natural and the culture and heritage that we show when we wear our hair with pride. The Sankofa Bird symbolises this phrase. Of course, since I was talking about afro-futurism I referenced The Black Panther, character and film. I’ve watched the film twice now and in all honesty, would happily watch it on a weekly basis. It is funny, powerful and I feel full of ancient African traditions, references on black identity and definitely celebrates the uniqueness and innovation of black culture. It is also full of great afros. I’m going to have a feature on my show: T.G.I.F – “That Girl Is Fine” – my choice of an en pointe afro hairstyle in mainstream media. I chose images from an article in Refinery 29 UK called “Celebrating The Art Form of African Hair Threading”. Totally gorgeous pictures, and my TGIF was Ayesha McMahon. My first broadcast was not perfect, and the after edit is questionable. But next up, is more steps along the way. That’s all there is. And I’m happy with that. You can also listen to the playlist from the first show – from Janet Jackson to Floetry. Keep your rhythm, keep your soul.